FC Schalke 04’s Johannes Geis is deadly from set-pieces and he’s now proved just as accurate on the basketball court. The midfielder beat off competition from his teammates to represent his club during the half-time show when Orlando Magic take on the Washington Wizards on Saturday, 9 January. Just before die Knappen set off for their winter training camp in Florida, Geis prevailed over Eric Maxim Choupo-Moting, Ralf Fährmann and Gerald Asamoah in the internal shootout for the right to take centre-stage on the NBA court. "It’ll make a great change alongside training," said Geis. "I’m quite nervous about throwing as it’s different when thousands of people are watching." His opponent in the three-point challenge will be a familiar face. Former Schalke defender Kyriakos Papadopoulos earned the right to take part for Bayer 04 Leverkusen, who are also in Florida for winter training. "We’ve told Geisi that he’d better win," joked teammate Sascha Riether. "If he loses, we’ll come up with a little punishment." 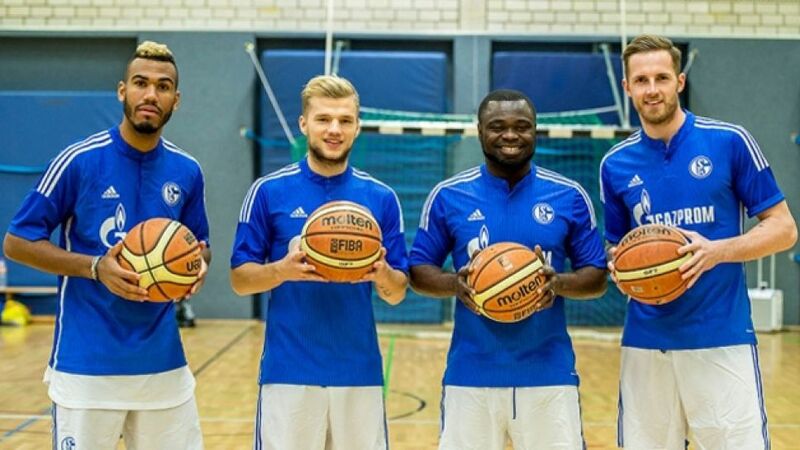 With team spirit very much intact, Geis and Schalke are gearing up for success in the second half of the Bundesliga season as well as on the Basketball court.